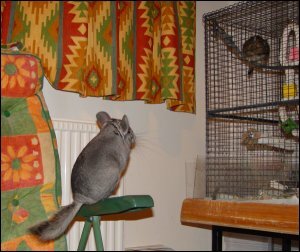 eRodent - Information on Degus, Gerbils, Persian Jirds and Chinchillas. They're small and furry and they know where you live! Looking for a freelance dietitian? I've been setting up a planted tropical aquarium in my living room and have been recording how it went on the Tropical Aquarium pages. Last Updated - 11th March 2010. Want to join the Gerbil and Jird Ring? Want to join the ring and get more hits for your page? Setting up a Tropical Aquarium. Policy on photo use and articles. You can never too many Rodents!